The iPod has changed the way we all listen to music and with more than 300 million iPods sold all over the world, the iPod speaks volumes of Apple whose ‘revolutionary’ products are paving way for it to becoming ‘the’ biggest company in history. 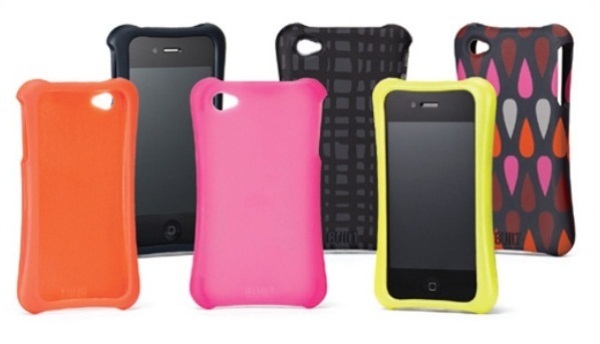 Coming back to iPod, here are the ten best-looking cases to protect your precious little iPod. Available in Blacktop, Paparazzi Pink and Fountain Blue colors, this case features textured surface pattern with raised “pebbles” making it easy to grip your iPod. It comes with one-year limited warranty. This case from Griffin is touted as the most protective case the company has ever built. For the sake of more details, it has been tested and certified for “US Department of Defense Standard 810F and UK Department of Defense Standard 00-35.” It is pretty durable in protecting your iPod touch from extreme conditions such as dirt, sand, rain, shock, vibration and a host of other environmental factors. This tough little silicone case for your iPod nano comes with a built-in metal carabiner, ready to clip onto your belt, backpack, handlebars, hatband, tentpole or even your climbing rig. It is quick and offers secure attachment to clothing or equipment. This case from Built is available in Fireball, Raspberry, Graphite Grid, White, and Rain Drop Mini colors. It is made of ultra-lightweight polycarbonate, the primary material in bullet-resistant glasses and features rigid molded back and double-reinforced corners to protect your iPod from shocks and impacts. like tape it to a small rock and drop it off a diving board. hahaha i would LOVE to see that!